Motorcycle racing evolved from a long history of two-strokes, and up a steep development curve to the modern four-stroke race bikes we know today. Read about the differences between two-stroke and four-stroke motors, and their involvement in AMA racing history. Motorcycle engines are categorized into two types: the two-stroke and the four-stroke engine. These two styles of internal combustion engines dominate the motorcycle industry, and while both are gas powered machines, they have many differences. Both have different cycles, sounds, efficiency, and have experienced different development curves. Motorcycle manufacturers were forced to develop four-stroke motors due to emissions regulations in the early 2000s. 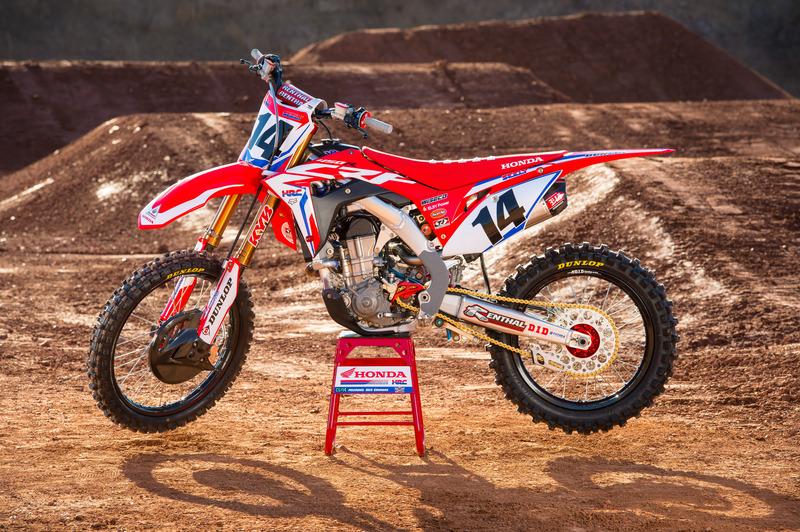 The four-stroke engine expansion was fast tracked, and quickly became more powerful, providing a torque curve that changed motocross tracks everywhere. Suddenly, riders did not have to carry speed through corners to prepare for the next section, and it became easier to clear a double jump from the inside line. AMA racing has transitioned from the 2-stroke era (left) to the 4-stroke era (right). However, both styles of engine platform remain popular in the consumer market today. A two-stroke motor is named so because of the number of revolutions the piston must make in order to complete the cycle. One of the major components in a two-stroke motor is the crankcase, which acts like a compression chamber. Two other major components are the intake and exhaust ports, which rely on the crankcase pressure to function correctly. Different than a four-stroke motor, the cylinder head is basically sealed, other than the spark plug hole. 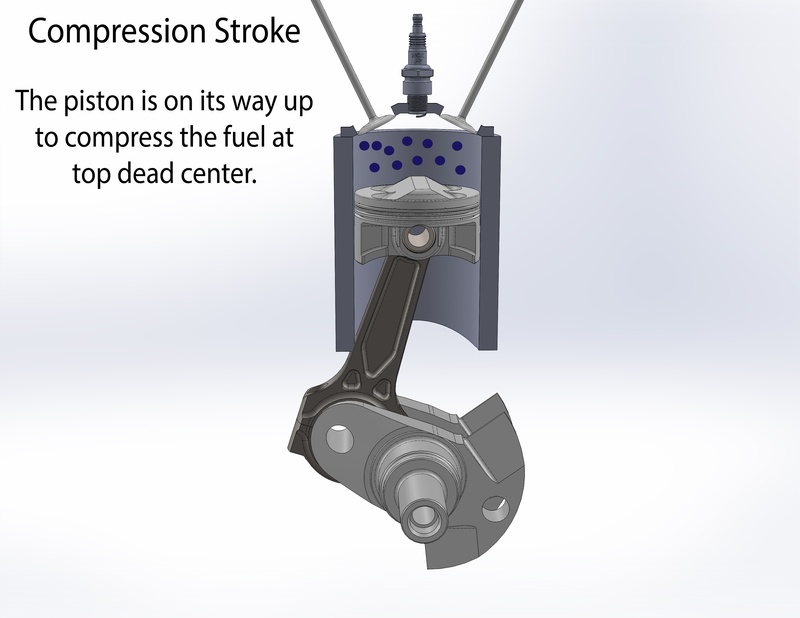 On the first stroke, the piston passes the intake port, which pulls the fuel and air into the crankcase. Spark is sent from the magneto at the precise time the piston has compressed the fuel and air at top dead center. Premix is pulled into the crankcase as the piston travels to combust existing fuel in the cylinder. Two-stroke motors waste no movement. They essentially push burnt exhaust and pull new fuel and air in one movement. Once fuel and air is ignited and the piston is sent downward past the transfer port, the crankcase pressure forces new fuel and air into the cylinder, while at the same time forcing burnt fuel out of the exhaust port. This why two-stroke motors are not as efficient as four-stroke motors, because sometimes unburned fuel is forced out of the exhaust port. The new fresh fuel and air pressure forces the exhaust out of the cylinder, but there isn’t a specific set of valves to separate the burnt fuel vs the new fuel, like a four-stroke motor. During this process, the oil/fuel mixture (premix) and air are drawn around the crankshaft, which allows for lubrication. 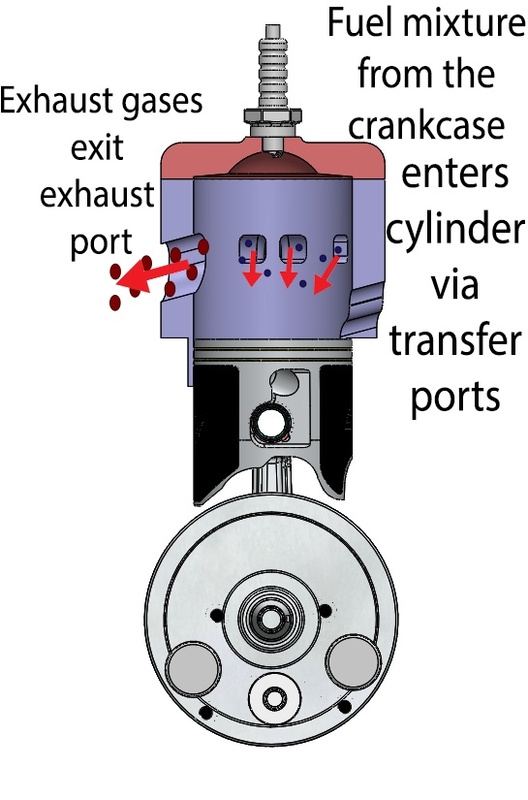 Exhaust gas exits through the exhaust port(s) as new fuel travels from the crankcase to the cylinder via transfer ports running through the cylinder. 2-Stroke fan? Check out the 2-Stroke Racer Elite pistons. 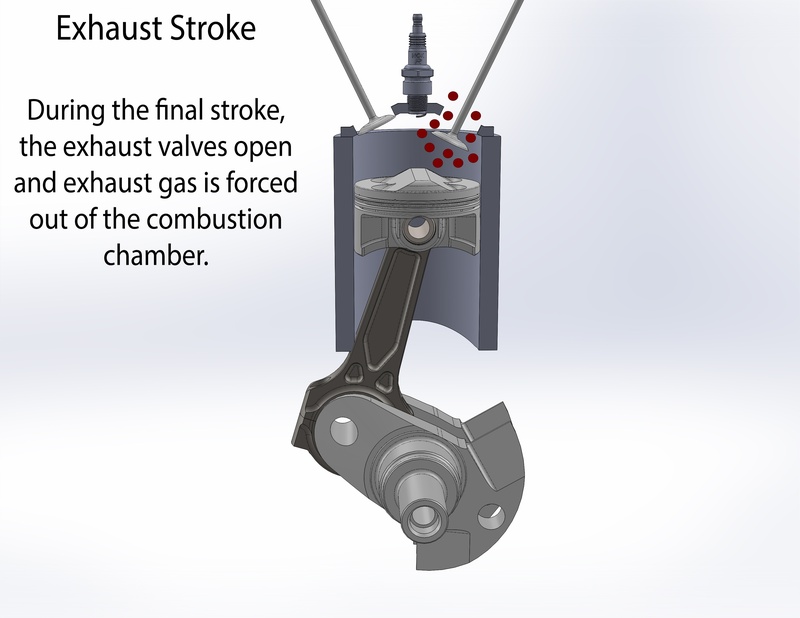 Four-stroke motors use intake and exhaust valves, and are far more efficient at burning fuel. The camshaft is turned via the timing chain, working off the rotation of the crankshaft. This opens the intake valves, allowing fuel and air to be pulled into the cylinder. 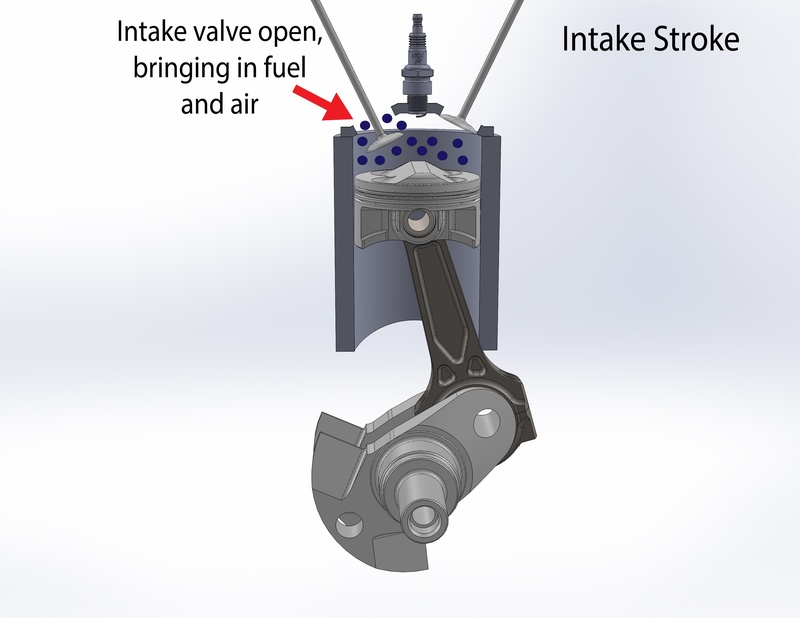 During the intake stroke, the piston pulls fuel and air in through open intake valves. The next stroke is the compression stroke. 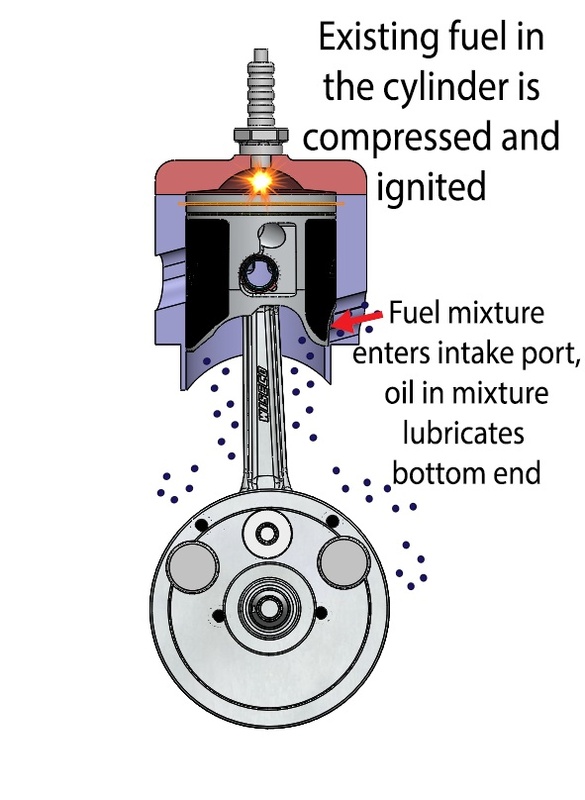 The piston forces the fuel and air to compress at top dead center, where the spark plug ignites the fuel and air. 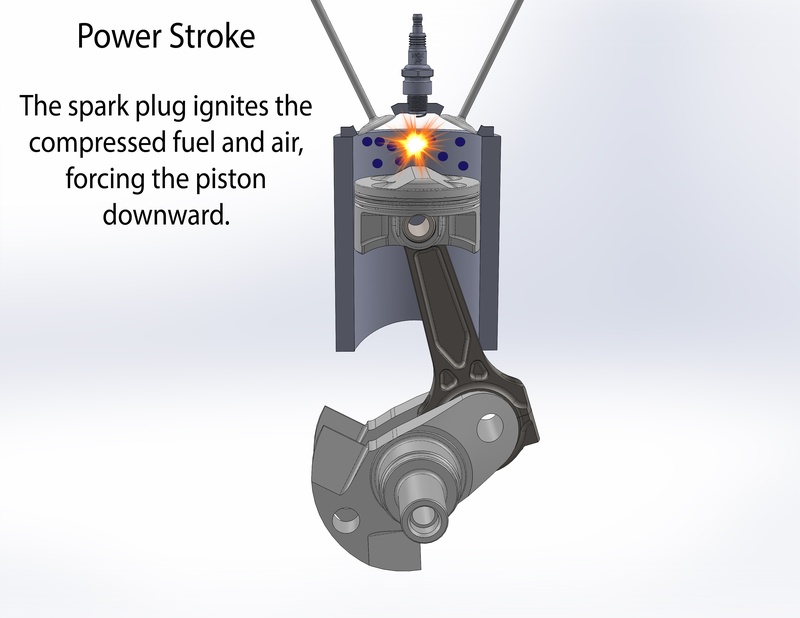 The explosion forces the piston downward, which is the power stroke. When the piston returns to the top of the cylinder, it forces the burnt gas out the exhaust valve. This is the final stroke in a four-stroke motor. While pushing burnt fuel out the exhaust port, the spark fires again when the piston is at top dead center ensuring no unburned fuel will be emitted from this motor. While sparking already burned fuel may seem irrelevant to performance, the California Air Resources Board used this last stroke to determine two-stroke motors were more pollutant than four-stroke motors. Unburned fuel being released into the air is why CARB has banned two-stroke motors other than for competitive purposes. 4-stroke fan? Check out the 4-Stroke Racer Elite pistons. A two-stroke motor is much easier to rebuild. Rebuilding a two-stroke involves removing and replacing less moving parts than a four-stroke motor. A crankshaft, piston kit, bearings, and seals can have a two-stroke motor running like new again. A two-stroke motor needs fewer gear oil changes, but needs oil mixed with fuel. A four-stroke motor, on the other hand, has many moving parts and can be a complex rebuild, including crankshaft, piston, rings, valves, valve springs, camshaft and cam chain. Since the crankshaft uses motor oil to stay lubricated (a 2 Stroke uses oil mixed with the fuel) it needs to be changed quite often. 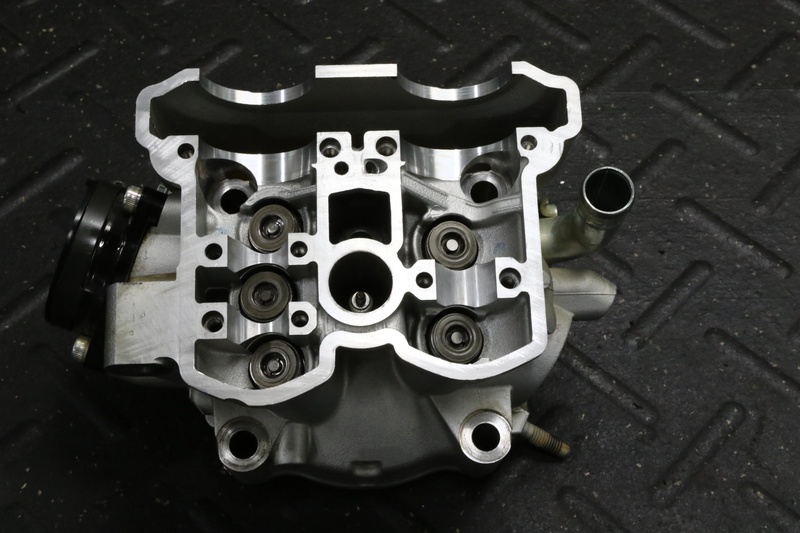 A four-stroke cylinder head is vastly more complex than a two-stroke's, consisting of a valve train complete with camshafts, timing chain, valves, and valve springs. Rebuilding either type of motor can involve ordering part number after part number, trying to make sure you have every little seal and gasket needed to put it back together. An alternative to this is turning to the aftermarket, such as with an engine rebuild kit from Wiseco. Engine rebuild kits can be purchased with all the parts needed in one box, for either a two-stroke or a four-stroke. 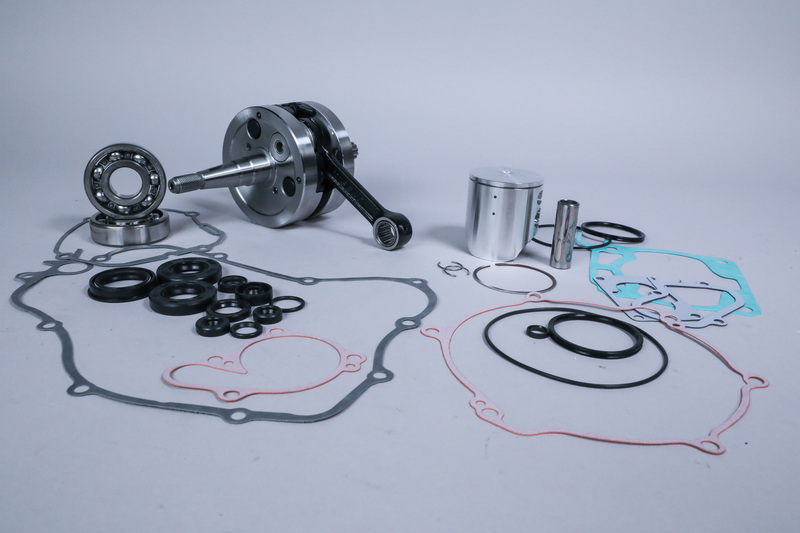 The kits include a crankshaft, forged piston kit, all necessary gaskets and seals, and an hour meter. 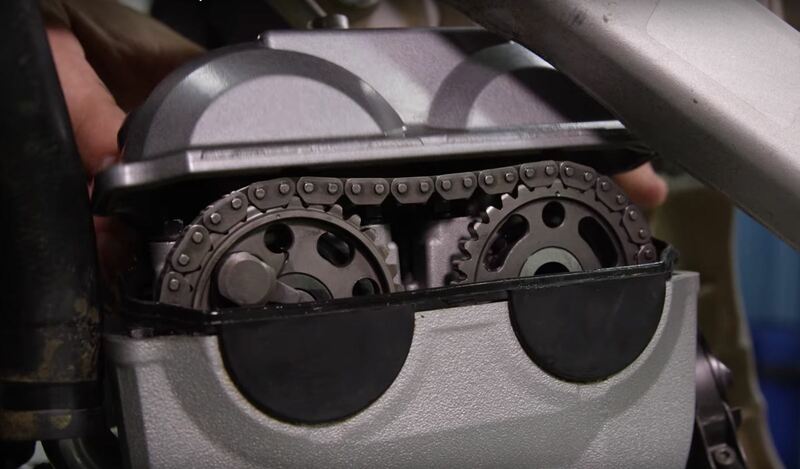 As mentioned earlier, the four-stroke rebuild includes working with more moving parts, which is why the rebuild kit for these also comes with a cam chain. Four-stroke rebuild kits will always cost more, but single solutions such as this from Wiseco, bring a saving grace to the costs and headaches associated with complete engine rebuilds. 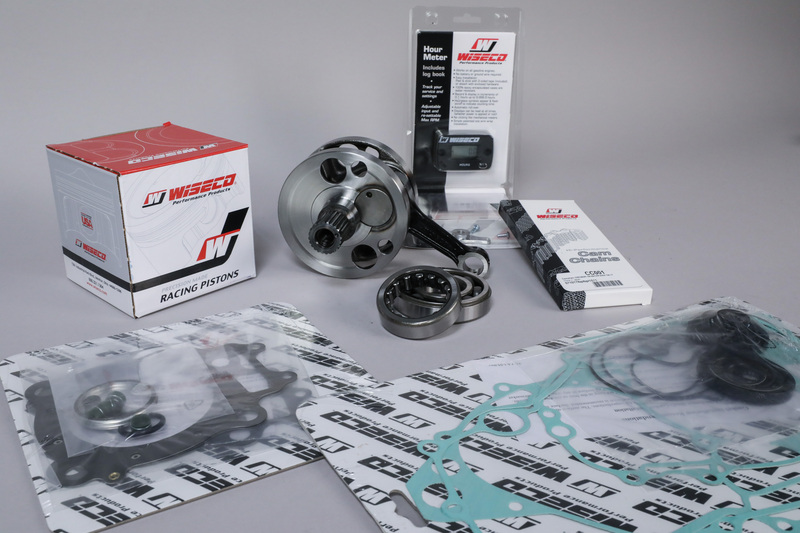 Wiseco engine rebuild kits include everything needed to rebuild the bottom and top end, for both two-stroke and four-stroke. Find Wiseco products for your bike here. The answer to why the majority of riders have switched to four-strokes is the performance! When the AMA began homologating four-stroke motorcycles for competition in the late 90’s, it seemed unfathomable that a four-stroke motor could compete with a lighter, more powerful two-stroke. In an attempt to appease both CARB and the manufacturers, the AMA made 250cc four-strokes eligible to race against 125cc two-stroke motorcycles. I believe the original displacement limitation for the four-strokes against 250cc two-strokes was 675cc, but that has since been reduced. In hindsight, we all realized the AMA had over shot their mark. Instead of creating a competitive environment for both two and four-stroke motors, this mistake essentially forced anyone who hoped to be competitive to ride a four-stroke motorcycle, thus ending development on two-stroke motors. In fairness to the officials who made this decision, if you look at the power delivery on paper, it makes sense. 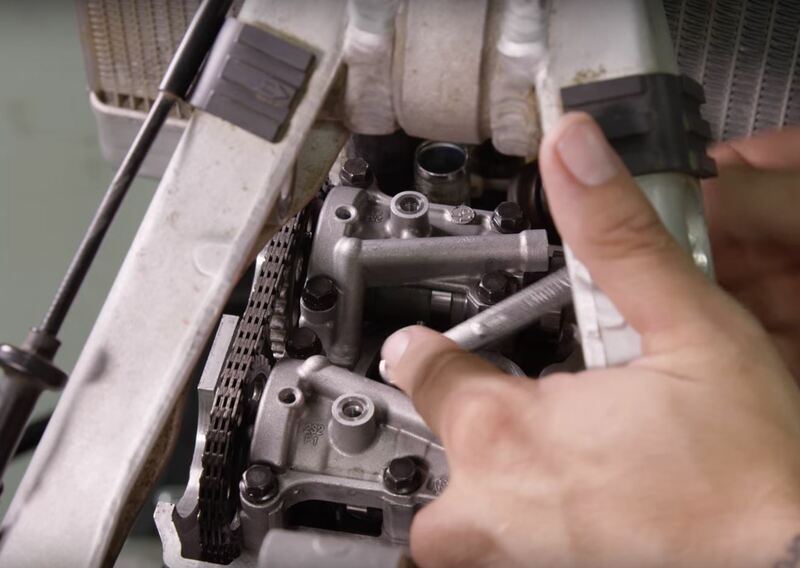 A two-stroke motorcycle has twice as many power strokes as a four-stroke motor, so common sense says you can double the size of the motor and get the same power. While this might hold true for peak horsepower, they did not figure in torque. In reality, a 50-100 cc advantage would have kept two-strokes competitive for much longer. Doug Henry aboard his winning YZ400F four-stroke, 1997. Another component the AMA officials failed to consider was all the moving parts of a four-stroke motor. More moving parts means more parts that can be improved, and unlike the two-stroke motors, they had not been dissected with the scrutiny of years of competition. Competition is where companies grow their innovation. This is where the slogan “win on Sunday sell on Monday” became famous. Consumers became aware very quickly that the brands winning the races had the best technology to pass on to consumers. 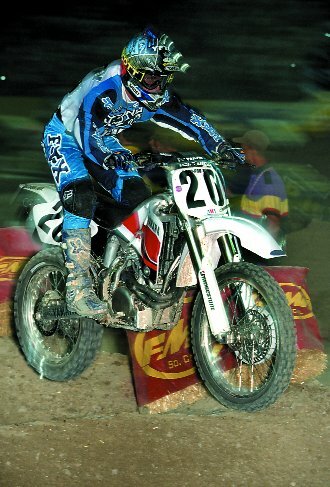 With that said, the four-strokes of today are far more advanced than the Yamaha YZ400F that Doug Henry won the 1997 Las Vegas Supercross on. I can assure you the officials who wrote the original rules allowing four-stroke motorcycles to compete were less than thrilled to see Yamaha win in their first professional attempt with Doug on the 400cc four-stroke motorcycle. Read MXA's original article from the photo above.